Whitening your teeth could be the most relaxing time you have all week. Why take your chances with harsh abrasives and questionable over-the-counter products? With BriteSmile, you can have your teeth looking whiter than they have in years in a single office visit — and all under the careful eye of an experienced dentist. 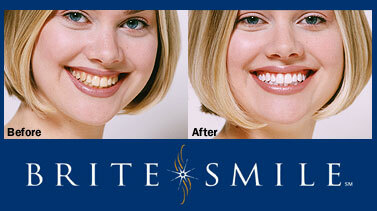 Dr. Zarbian will first consult with you to ensure that your teeth are healthy enough for whitening. Once you’re ready to go, the whole process only takes an hour. Dr. Zarabian will carefully apply the special BriteSmile whitening gel, and then you just relax while the gentle activation light does the work. You can read, listen to music, watch a selection from our video library, or just take advantage of some quiet time to let the stresses of the week melt away. Don’t be fooled by the speed and ease of treatment – BriteSmile results are impressive. On average, you can see in improvement of eight shades — or even more. We’ll give you before and after photos so you can see the difference side-by-side. BriteSmile is safe for your tooth enamel and the results last for years. Talk to Dr. Zarabian. You could be just an hour away from the brightest smile you’ve had in years.